Reading these two back-to-back was an odd experience. I had no idea they would be so similar but because of that I couldn’t help comparing them. Between the two I definitely preferred The Likeness, but they each had their unique strengths while essentially telling the same story. Both focus on a close-knit group of college students that must cope after a tragedy happens in their midst. What a ride! As others have noted, you need to suspend your disbelief at the onset to accept the premise. Detective Cassie Maddox is called to a murder scene where the dead body of a woman virtually identical to herself has been discovered. What follows is an intense preparation and training for Maddox to go undercover as the murdered girl to try and discover who committed the crime. To complicate things, Maddox discovers that the woman has been using her old undercover alias, Lexie Madison. She was a college student living with four other students in an old house. The others have an odd symbiotic relationship and Cassie, pretending to be Lexie, must convince them that she’s the girl they know and love. The reason this book works so well, despite the far-fetched plot, is the characters. 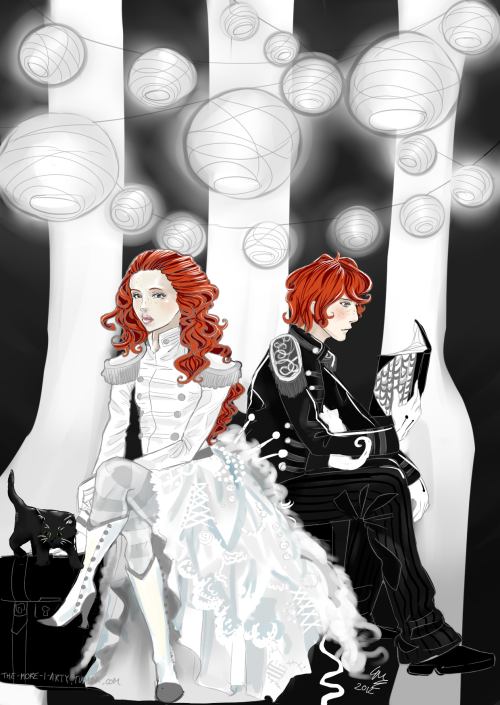 They are beautifully drawn and just enchanting. The world that French creates is an intoxicating one. Just like Cassie, I couldn’t help but get caught up in their strange situation. There’s no way Cassie would have become so enthralled by that odd “family” if she hadn’t had her spirit completely broken by her partner Rob in the series’ first book In the Woods. I missed Rob and Cassie’s easy camaraderie in this book, but I was glad she mentioned him so many times. He was such a huge part of her life and in a way this book is her way of grieving the loss of their friendship before she can truly move on with her life. BOTTOM LINE: A beautiful mystery that shouldn’t be missed. Read In the Woods first to understand the characters better, but know that this book is even better than that one! This strange dark story starts with a murder and the rest of the book is a tense look at the aftermath. A group of students at a small New England college grow incredibly close when they enroll in a Greek study program under the direction of the illusive professor, Julian Morrow. Our narrator, Richard, is the last to join the tight-knit group and he has a hard time fitting in with the wealthy crew. The circle includes a set of twins, Charles and Camilla, the effusive Bunny, domineering Henry, and Francis. After the initial shock of the murder on the opening pages, the story behind it slowly unfolds, revealing a torrid tragedy of Greek proportions. Richard is the eternal observer, rarely initiating action, only reacting. It’s through his passive eyes that we see the events, which gives the whole book a detached feel. You can’t put it down, but you never feel connected, it’s an odd balance. The most fascinating part of the book for me was the eroding nature of guilt and the different effect it had on each person. The way we react to things says so much about our true natures. In that way it reminded me a lot of Crime and Punishment. BOTTOM LINE: An interesting read, one that will certainly stick with me. Honestly, I think that if I hadn’t read The Likeness directly after this one I probably would have liked it more. The two books are so similar in their basic premise, but The Likeness was the more engaging and enthralling of the two for me and this one suffered in comparison. I did like this one; I just loved The Likeness more. "But of course I didn't see this crucial moment for what it was; I suppose we never do." "There is nothing wrong with the love of Beauty. But Beauty - unless she is wed to something more meaningful - is always superficial"
"... instead of merely loitering in the bullet's path like a bystander which I so essentially am." A refinery outside of Minneapolis. We called it Sparkle City as we passed. I've been a Jane Austen fan for a long time. I've read and re-read her six completed novels and have loved them all in very different ways. Pride and Prejudice and Sense and Sensibility introduced me to the brilliant author. They are beautiful odes to love conquering all and the huge blessing it is to have a sister you love, no matter how different you are. Their main characters are shaken by misunderstandings and steered by naïveté. Northanger Abbey and Emma feature somewhat silly girls that let their imaginations run away with them. You somehow still love them, because though they may be simple or selfish, they really do have good hearts. Mansfield Park is Austen's picture of perfecting one's character. Fanny is just so damn good that it's a bit frustrating. Of course all of these books are much more complicated than my quick summaries allow me to explain. So you should read all of them! But Persuasion, this book is different from all the rest. Maybe it's because it was the last full novel she wrote. Maybe it's because she had experienced a bit of love in her life by that point. Whatever it is, this book has a depth and soul-shaking intensity that makes it my favorite. The premise is simple. Anne falls in love with Frederick Wentworth, but her family says he's too poor and persuades her not to marry him. Anne’s mother died when she was only 14, leaving her without the trusted guidance most girls have. All of this happens before the book starts and the opening chapter begins 8 years in the future. Anne is still single and her path crosses Wentworth’s again. Now they are both older and have had years to think about how they handled their breakup. I love seeing Anne’s nature through her actions, not just her words. Many of Austen’s heroines are outspoken, like Lizzy Bennet and Emma and I am absolutely more like that. I admire Anne’s quiet patient nature and her ability to hold her tongue and think before she speaks, even when she’s provoked. She’s also hesitant to give advice, worrying that her own actions might be contrary to what she says; a wise thought from someone her age. Her shallow, insipid family has relegated her to the role of helpmate and despite that she gladly spends time with anyone who needs her. She is kind to her former governess, Mrs. Smith, even though her family thinks that is a lowly connection for her. I also love the fact that she is cautious around the much-loved Mr. Elliot, her complimentary cousin. He is a similar character to Mr. Wickham in Pride and Prejudice, but unlike Elizabeth, Anne doesn’t fall for his smooth first impression. She’s justifiably dubious and that makes me love her even more. When Anne and Wentworth meet again they have both matured. From a distance they watch each other, trying to reevaluate their feelings, which have had years to form and are no longer based on infatuation or young love. This slow burn is intoxicating. Every time they are together you ache for Anne, wrapped tightly in her cocoon of regret. Anyone who has read it can testify to “the letter” being one of the best moments in literature. BOTTOM LINE: If you've never read Persuasion you're missing out. 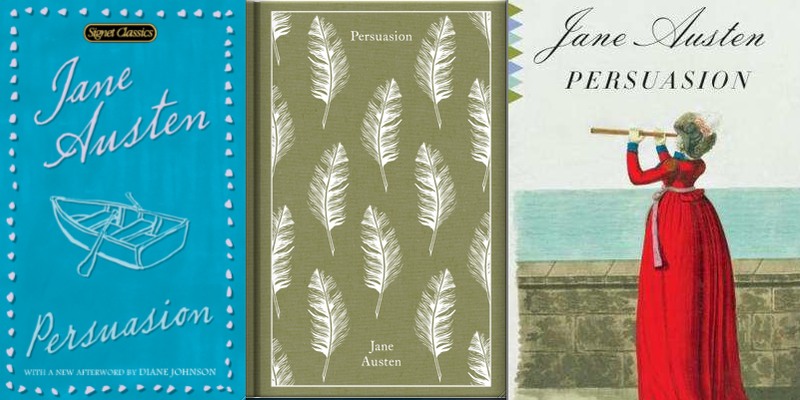 I love Austen's more celebrated novels (P&P and Emma), which have been made popular by movies and modern remakes (like Clueless), but it's Persuasion that won my heart. Vanity Fair Readalong: Ten Reasons Why You Should Do It! Get excited people! Trish of Love, Laughter, and a Touch of Insanity and I are going to start reading Vanity Fair in the middle of February. So Happy Valentine's Day to all of you. Here are the top ten reasons you should read it with us! 1) Charlotte Bronte dedicated the second edition of Jane Eyre to William Makepeace Thackeray, seriously! 3) Stanley Kubrick wanted to make a film version of it in the 1970s. Weird. 4) The BBC's Big Read poll listed it as one of the "Nation's Best-loved Novel" in 2003. 5) Trish is awesome and she's co-hosting with me! 6) It has a magazine named after it. 7) It was published in 1847 so it qualifies for any Victorian or 19th Century reading challenges you may have committed to. 9) The author's middle name is Makepeace, which is a pretty sweet name. As in, make peace with the fact that you're going to do this readalong! 10) You know you want to do it and it will be super laid back (no weekly check-ins). We will be starting February 15th, checking in once in the middle on March 1st and posting our final thoughts on March 15th. That's about as easy and simple as it gets! I hope you join in the fun! We'll have an official Linky post up on February 15th when we start. I was really disappointed with this one. Part of it is my fault, because I thought (from the title) that this was a nonfiction book about the listed authors’ final days. Instead it’s a fictional short story collection with Oates’ imagined accounts of their later days. Each of the five stories deals with one author. Poe’s story never seemed very focused to me. Twain’s story was incredibly creepy and I wasn’t a fan. I’m hoping Oates doesn’t believe he was actually like the way she wrote him, because her version of Twain in disturbing. James’ wasn’t bad, but again, there was no real spark. Hemingway’s story was probably the closest to reality and I think that’s why I liked it best. The Emily Dickinson’s section isn’t actually about her at all. It’s about a live mannequin, called an EDickinsonRepliLuxe, that’s created to look and act like her. A husband and wife purchase it so they can interact with her in their own home. This story reminded me so much of Ray Bradbury’s style, particularly his short story “Marionettes, Inc.” from The Illustrated Man. BOTTOM LINE: The whole collection is better in theory than in actuality. Skip it and find a nonfiction account about your favorite authors. for Alyce's Best and Worst feature. Colin is a child prodigy, or at least a very smart kid with a lot of potential. He’s brilliant with language, but struggles with simple social skills. He’s a misanthrope, never convinced he’s truly happy or loved and never quite able to fit in and make friends. He has dated 19 girls in his short life, all named Katherine, all of which dumped him. The first was in third-grade and the last dumped him on the day they both graduated from high school. In an effort to knock himself out of his dumpee-induced depression Colin’s best friend Hassan decides to take him on an impromptu road trip from Chicago down to Tennessee. Hassan reminded me a lot of Tiny Cooper, from Green’s co-authored book Will Grayson, Will Grayson. He’s bigger than life, a hilarious and good friend to have. The two besties have a great repartee and the odd balls they meet along the way are great small town characters. Katherines is the most gimmicky of Green’s books, relying heavily on a combination of footnotes, anagrams, mathematical equations and graphs as part of the story. These elements were distracting most of the time and I think the book might have been better served if he’d only used one of two of them. It’s also packed with random trivia, which I enjoyed. This is the last of Green’s novels that I hadn’t read. It’s not my favorite, but I still love his conversational, intelligent writing style. BOTTOM LINE: My least favorite of Green’s novels, but still really enjoyable. It was a bit too heavy on the gimmicks for my tastes, but the characters themselves still rang true. It’s a quick fun read, but don’t miss his other work! I’ll definitely be reading whatever he writes because in my opinion each of his books has been a step up from the last. There are so few books that offer you a completely new world within their covers. This is one of the rare ones. I waited quite awhile to read it. There was so much hype surrounding its release and though it sounded like one I would enjoy, I knew my expectations would be too high. I’m so glad I waited and gave myself time to just enjoy it. The story revolves around a traveling circus, Le Cirque des Reves, and Celia and Marco, two talented magicians pitted against one another in an unavoidable challenge. We first meet Celia when she is only 6-years-old and she’s delivered into the care of her father, Hector. 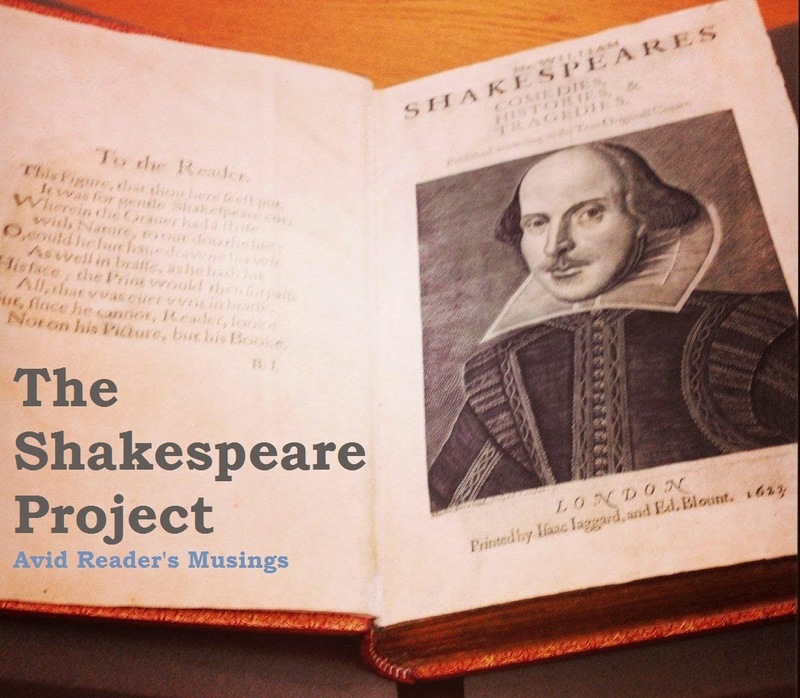 It’s 1873 and he is an enchanter who performs under the well-know stage name, Prospero. Hector’s acquaintance Alexander meets Celia and the two men decide to once again engage in a long-standing game, the details of which are vague to the reader at first. Alexander brings a 9-year-old orphaned boy named Marco into the mix and we slowly watch as the pieces are put into motion. Morgenstern gives the reader plenty of time to get to know her main characters before expanding the scene. She grows the cast slowly instead of overwhelming the reader. We’re introduced to Chandresh, who holds infamous midnight dinners for elite groups, and his entourage of eccentrics. Then there are the red-headed twins, Poppet and Widget, born at the circus on opening night and the mysterious contortionist, Tsukiko. I love that the author gave us the opportunity to view the circus from both the inside, from the perspective of the performers and creators, and the outside through the characters of Herr Thiessen and Bailey. It provides a complete picture of the enchanting world. The book is absolutely enchanting. When I wasn’t reading it I was thinking about it. I couldn’t wait to find out what happened next. I started wearing my own crimson scarf with my coat each day without even thinking about it, subconsciously wanting another tie to the book when I wasn’t reading it. The whole thing was so beautiful I clutched the book to my chest when I finished it, unable to stop thinking about the story. BOTTOM LINE: You can count me in as an official Rêveurs. If the circus was real I’d be there in a heartbeat. The story was enthralling, the setting incredible and I know I’ll be returning to this one again in the future! 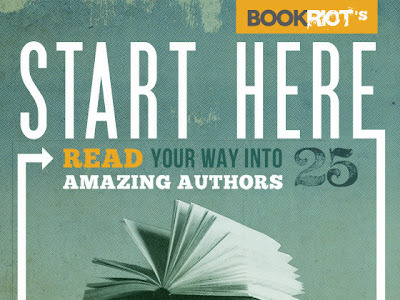 The lovely people at Book Riot put this gem together to help readers navigate their way through the work of 25 authors. There are a few authors on the list that I have already read all of the mentioned books. That list includes; Jane Austen, Ray Bradbury, Charles Dickens, E.M. Forster, and Edgar Allan Poe. 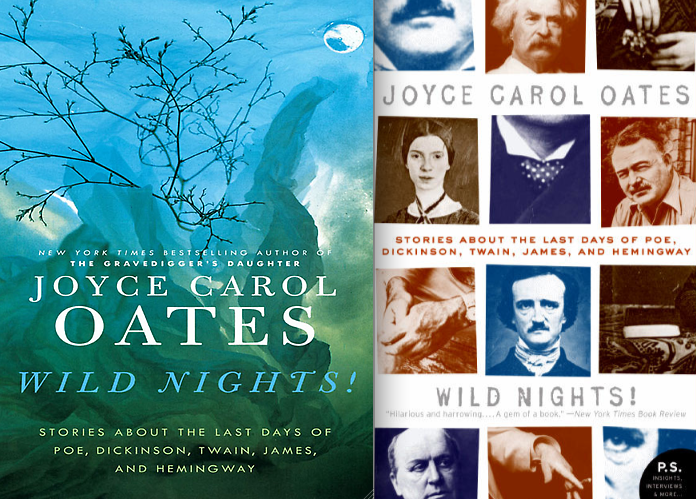 I think that with each of these authors the suggested books are a great snapshot of their work. There are other authors that I have read almost all of the work mentioned, like Ernest Hemingway, Neil Gaiman, Richard Russo and John Irving. With each of these authors I either learned a new tidbit about their lives or was encouraged to pick up another book they’ve written. 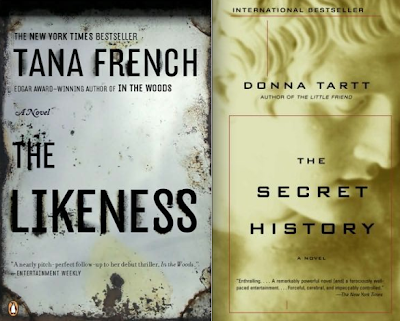 The authors I was the most excited about were the ones that are completely new to me and the ones I’ve heard about for years, but have never managed to read. 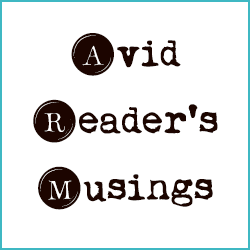 Most are intimidating authors that I’ve never really known where to start. I’m hoping to try one by Italo Calvino, Gabriel Garcia Marquez and Haruki Murakami this year and I’m grateful to have a place to begin. BOTTOM LINE: If you’re curious about finding new authors this book is a must. Someone else has already done the hard work for you. All you have to do is pick up the suggested books and start reading! **You can get a kindle copy here. I’m in no way affiliated with Amazon or Book Riot, I just think this book was a great idea and I’m excited that people may find some new authors they love. The sleepy town of Ada, Oklahoma was rocked by a murder in the 1980s. A local sports hero, Ron Williamson, and his friend Dennis Fritz were arrested for the murder of a woman. The two had been in trouble with the law before and their bungled trials did nothing but cement their guilt in the eyes of the community. As the title of the book suggests, Grisham’s nonfiction account of the crime, trial, imprisonment and eventual exoneration focus on the fact that Williamson was never guilty to begin with. It was both disturbing and eye-opening to realize how quickly the system can turn against you when you are arrested. It was also incredible to see how far forensic evidence has come in only a couple decades. I tend to really enjoy books like this, I think it’s the journalist in me. I don’t read a lot of true crime, but nonfiction books chronicling some big event or injustice (think Erik Larson or Sebastian Junger) are right up my alley. Grisham’s knack for writing thrillers worked well with this subject matter. In another author’s hands it might have become stale and repetitive, but he made the whole process interesting. This one isn’t a new favorite, but I enjoyed it and I’d highly recommend the audio version. BOTTOM LINE: If you enjoy nonfiction books like Devil in the White City or The Monster of Florence, you’ll probably like this one. I loved learning more about the justice system and its inevitable flaws. If you are expecting a cookie-cutter Grisham novel with twists and lots of action then skip this one. It’s not fiction, so it won’t have the same breakneck pace of his novels. Pair with a viewing of the The Life of David Gale and the film Conviction, which is based on actual events. Both films deal with men convicted of murder and facing either the death penalty or life in prison. It’s interesting because I had similar problems with all three of these novels. I didn’t hate any of them, but all three felt too disjointed. I loved certain story lines in each book, but the rest left me cold. They feel firmly in the middle for me and I feel like those are always the hardest books for me to review. Noel is struggling to find a bit of meaning in his life. He has a mediocre job, lives with his parents and drinks away his boredom each night. Then he finds out that a one night stand from a few months before resulted in a pregnancy and his impending fatherhood forces him to get his life in order. Noel is surrounded by family and friends who are willing to support him and help, but a social worker named Moira is convinced he can’t be trusted with the child. This one failed to really hook me. The whole time we’re suppose to hate Moira, which I did, but that doesn’t make for a great story. There were so many different characters and plots that the story kept loosing focus. I liked the American cousin and some of the other supporting characters, but it was too disjointed for my tastes. BOTTOM LINE: If you’re a die-hard Binchy fan you should read it. If you aren’t but you’d like to check her out, start with Circle of Friends, Evening Class or Tara Road. In the most incredible set of circumstances, twins (Marion and Shiva Stone) are born to a nun in an Ethiopian hospital. The story that follows is an intricate look at their lives and the many people around them. My favorite part of the book was the plot involving Hema, a strong female doctor, and her relationship with fellow doctor Ghosh. They raise the twins together and their relationship defies all stereotypes and clichés. Some of the medical scenes were a bit too graphic for me. They are continuous and sprinkled throughout the book because all of the main characters are doctors, so they’re hard to avoid. The brutal nature of the medical world is one I’m not familiar with and it’s not one I’m drawn to. There are also other elements, female circumcision and a graphic pregnancy scene that made my stomach turn. BOTTOM LINE: I wanted to like it more than I did. Bits of beautiful writing are spliced into a frustratingly bloated story. A few stand out characters helped me connect, but overall I was disappointed. This is the story of an over-weight geek with a penchant for falling in love a little too easily. From his childhood in the Dominican Republic to his later years in New Jersey, Oscar never really finds the happiness he longs for. The story is told from Oscar’s college roommate Yunior’s point of view, which is a strange choice. It bounces around dealing with the rough relationship between Oscar’s sister Lola and their harsh mother, the mother’s troubled past, Oscar’s emotional issues and Yunior’s romantic relationship with Lola. It was interesting to read this shortly after reading In the Time of the Butterflies earlier this year, because books discuss Trujillo’s reign in the Dominican Republic. Also I’m an absolute geek at heart, so I loved all the nerdy references to Tolkein, etc., but it wasn’t enough to really hook me. BOTTOM LINE: There were aspects of the novel that I enjoyed more than others, but I was never as invested as I wanted to be. In the end it just wasn’t enough. There were too many different threads and it never came together in a satisfying way. This sat on my shelf for years until a recent road trip out west sparked my interest in Lewis and Clark’s famous trip. This nonfiction account of Meriwether Lewis and William Clark’s incredible journey covers everything from the earliest planning stages to the final attempts at publishing the journals from the trip. Written by the revered author of Band of Brothers, the book reads like a novel at many points. The men encountered Native American tribes (both hostile and friendly), diseases, wild animals, vicious turns in weather and a myriad of other obstacles to complete their goal. They traveled across the majority of the United States to reach the far west coast with canoes and horses as their only form of transportation. That alone is impressive, but then you realize that they also gathered and inventories dozens of new animal and plant species along the way. They worked on mapping out the entire area that they traveled along while also gathering new scientific data and establishing trade routes. The project was a goal of Thomas Jefferson’s and when he became the president he began to put his plan into action. 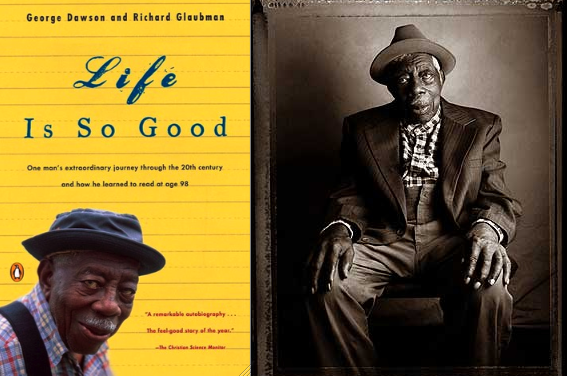 The book mainly focuses on Lewis’ life, his struggles and his role in blazing the trail out west. He was a brilliant, but troubled man and this trip was both the greatest and hardest endeavor of his life. BOTTOM LINE: One of my favorite nonfiction books of the year. I know that traveling out west this fall certainly prompted my reading this book, but I think I would have loved it regardless of that. I learned so much about the individuals behind the trip and the sheer scope of what they accomplished. I highly recommend if you’re a fan of US History or just great nonfiction stories of accomplishment. p.s. While in Montana we visited the Lewis and Clark Interpretive Center and the photos above are from those exhibits. No one writes a thriller quite like Lehane. From the heartbreaking story in Mystic River to the mind-bending twists in Shutter Island, his books are undeniably addictive. He gives the reader so much more than good plot points; he creates powerful characters that feel relatable and real. This book is the latest installment of the Kenzie and Gennaro series (which includes Sacred, Prayers for Rain, A Drink Before the War, etc.). It is a direct sequel to Gone, Baby, Gone (published in 1999) and you really need to read that one first to understand what’s going on. The rest of my review will assume you’ve read Gone, Baby, Gone. What I’ve always loved about Lehane’s work is his ability to capture and communicate the moral ambiguity of a case without seeming preachy. He tackles impossible issues from the perspective of his “everyman” detective Patrick Kenzie. He faces the darkest corners of society and manages to come out alive, though never completely unscathed. In Gone, Baby, Gone Kenzie searches for a kidnapped girl named Amanda McCready. When he eventually finds her he struggles with the decision of whether of not to return her to her neglectful mother. He eventually decides that he as to take her back to her parent, but that decision has lasting consequences. At the beginning of this book Kenzie finds out that Amanda, now a teenager, has gone missing again. I really enjoyed this one because we have the chance to see the characters we’ve grown to love in another phase of life. Patrick and Angie are married and have a daughter. They’re trying to find a stable balance in their lives while still pursuing careers that interest them. There were a few moments when the novel lost its footing for me. This was mainly when Lehane tried to write like a teenager would speak and when he talked about technology. In both instances the novel felt forced. It wasn’t enough to ruin anything for me; it just took me out of the story for a second. BOTTOM LINE: This one is a must for fans of the series, but it’s not a great starting point if you’re new to his work. I’d recommend starting with the first Kenzie book, or with either of the stand alone novels Mystic River or Shutter Island. Pair with a viewing of Shutter Island, Mystic River or Gone, Baby, Gone all of which are film versions of Lehane’s books. Also check out the TV show The Killing which has a similar feel. 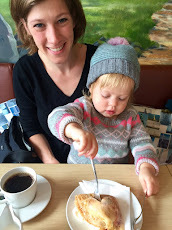 It's been 3 years since I started this little blog. It's changed, I've changed and I still love it. I've made such wonderful friends through blogging. You people have amazing taste in books! I've co-hosted a readalong and joined in lots of others. 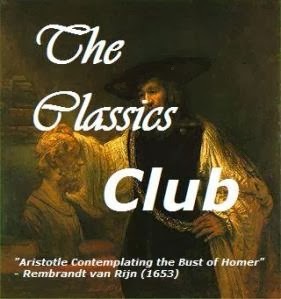 I became a moderator of the Classics Club, participated in readathons, and most of all I've somehow deepened my love of reading. I didn't know that was possible. So I just wanted to say thank you to all of you who stop by here. Your comments and emails always make my day. You all are the kindest, funniest people and I'm so glad that because of this blog I had the chance to meet you! 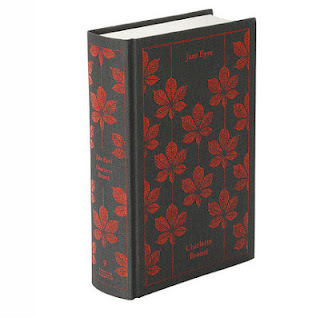 As a tiny thank you I'm giving away a copy of the Penguin Clothbound edition of Jane Eyre. It's one of my favorite books and it's part of a series of editions I'm in love with, so it seemed fitting. The giveaway is open internationally. To enter all you have to do is comment and leave your email address below. You don't have to be a follower or follow me on twitter or anything else to enter. I'm only keeping the giveaway open until Sunday because the point is to thank the people who are regular readers. I'll post the winner here and I'll email them. They'll have 24 hours to respond with their address. Thanks again guys, you are all awesome. 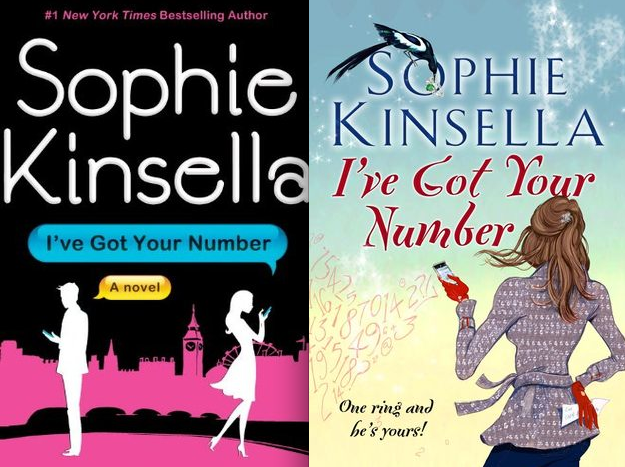 When I was in college I binge read Sophie Kinsella’s books. Since then I’ve occasionally picked one up, but with her most recent one I think I’ve officially outgrown her. I spent way too much of the book rolling my eyes at the dopiness of the main character and I just felt like I was wasting my time. I’ve really enjoyed some of her books, but I think I’ve hit a wall and they just feel repetitive and frustrating now. I know I’m in the minority on this one, but that’s ok.
Here’s a list of ten things I wanted to say while reading this book. There are SPOILERS, so skip it if you haven’t read it and you’re planning to. 1) Why do the women in these books think honesty is the plague? Really, pretending your hand has been severely burned is a better option that just explaining the truth? 2) Who in their right mind writes horrible email drafts to get things off their chest and then deletes them? Of course one will end up getting sent to that person by accident, give me a break! 3) Why did she not nip her whole friend hitting on her fiancé thing in the bud early on? That is not okay people. And apparently that’s someone she’s close enough to that she made her a bridesmaid. 4) No one I know would possibly end up in all the absurd situations this woman manages to get herself in. I know that it is fiction, but she did so many ridiculous things that it was hard to have any sympathy for her when they backfired, (sending an email to his Dad, encouraging the whole company to share their new ideas without his permission, etc.). 5) Why do women in these books have to be so oblivious to the fact that they are with creepy jerks for 99% of the story? 6) Footnotes, seriously? The gimmicky addition to the novel just didn’t work. There is no justifiable reason that a rom/com book needs footnotes and it became annoying really fast. 7) Wanting to make things easier on others is not the same thing as being a doormat. Grow a backbone and stop letting people take advantage of you! 8) Sam was actually a good character. I liked that he was honest and straight-forward and didn’t dance around every issue like Poppy did. 9) Exactly how many red-flags do you need before you realize the man you’re with isn’t the right one? He doesn’t tell you the truth about family issues, he talks down to you, you don’t know about his past, you’ve only been together a short time, he flirts shamelessly in front of you, your own family doesn’t really like him… that’s not enough!?! 10) Seriously, the guy gets you a new ring and the whole cheating thing is no big deal now? I get that you think that makes you “special” in his eyes but no, just no. BOTTOM LINE: There are some great “chick lit” books out there that manage to have intelligent women as main characters. I’m tired of reading books where the woman has to do 50 stupid things in order to end up with Mr. Right. Two men named Wes Moore were raised in nearby streets in Baltimore. One Wes Moore earned a scholarship to a prestigious university, the other ended up in jail for life. They didn’t meet until their fates were already set, but the result is a fascinating nonfiction look at how they each ended up there. 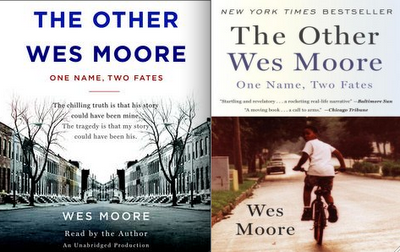 I’ll admit there were times when I lost track of which Wes Moore’s story I was reading. They have the same name and had very similar lives when they were young. They were both tempted by drugs and violence and they both lost parents to death or abandonment. The two things that really stood out were the fact that you have to make choices that are good for you and you are responsible for the decisions you make. Also, strong parents/family support is a huge factor in a child’s life. The mentors and leaders that step up in the lives of a young person make all the difference. It made me appreciate the work people do in tutoring and mentoring programs. BOTTOM LINE: I was really surprised by how much I enjoyed this one. It’s a quick read and well-suited for audio. It wasn’t overly inspirational, just a realistic look at the possible outcome any life could have with just a few minor changes. 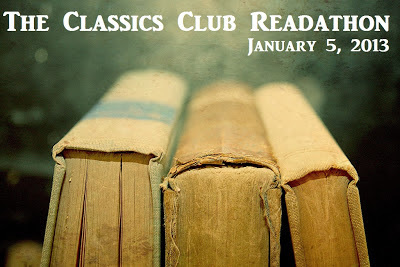 The Classics Club, where I am a moderator, is hosting its very first readathon today! So I'm going to be reading as much as I can and occasionally updating this post. I hope you'll join in! 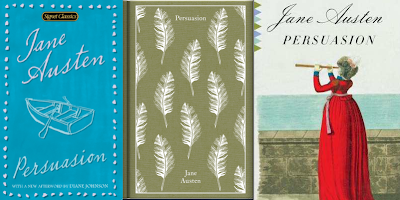 I'm planning on reading Persuasion by Jane Austen and Little Women by Alcott, both are books I'm currently re-reading. I'm going to dip into New Year's Day by Edith Wharton, because I found a lovely old copy of it on New Year's Eve. I also have Cat on a Hot Tin Roof by Tennessee Williams and Flannery O'Connor's collection of short stories, A Good Man is Hard to Find standing by if I want to read them as well. I was gone for most of the morning, but finally started reading in the afternoon. Then after an hour of reading I fell asleep... fail. In my defense I've had a horrid head cold/cough for the last four days and that really takes it out of you. But I'm still reading and hopefully will do better in the next couple hours. New Year's Day: 160 pages - Finished! Over the past year I’ve posted about books and authors from every single state in America. You can see the complete list here. I loved learning a bit more about each state and the authors and books that capture its unique characteristics. But I must admit I’m glad I finally reached the end! I hope people are able to use the lists as references in the future when they’re hoping to explore a new state. It’s always fun to read books set in a state you’re about to visit. For this final post I wanted to give you all a few great road trip books. These are all books that are set in multiple states or involve a trip across the United States. Read a few and I promise you you’ll have a hard time resisting the urge to hit the road. Also, here's another great blog to check out for more suggestions: LitMap Project.